In northern Iceland, 1829, Agnes Magnúsdóttir is condemned to death for her part in the brutal murder of two men. Agnes is sent to wait out the months leading up to her execution on the farm of district officer Jón Jónsson, his wife and their two daughters. 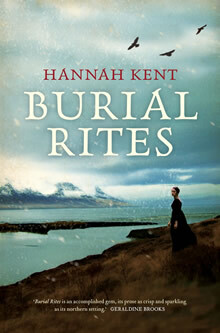 Hannah Kent talks with SMH Literary Editor Susan Wyndham about her powerful debut, Burial Rites, which has been sold around the globe and is one of this year's most talked about novels.